Recently, people in America have been partaking in “the Swedish fitness craze” called plogging. For those who have not heard what it is, it is a type of exercise that involves jogging and picking up trash. All a jogger needs is their running shoes and a bag (or just their hands) to plog. What plogging does not only promotes on cleaning the environment, but also gets people to exercise at the same time. To read more into plogging, click on the link below. 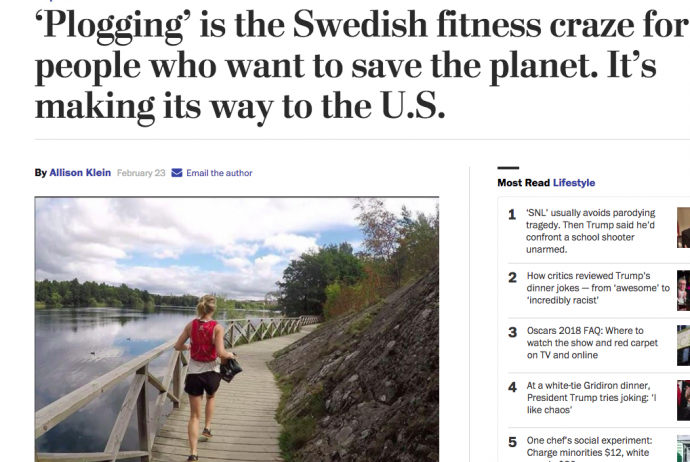 Article: ‘Ploggin’ is the Swedish fitness craze for people who want to save the planet. It’s making its way to the U.S. When comparing plogging to Pick’n Run’s motto (cleaning the world one run at a time), they are exactly the same.